Regardless of the size of your remodeling needs, quality plumbing may be an important part of it. This is especially true when in need of new pipes and fixtures. At Midwest Plumbing and Services, we specialize in kitchen and bathroom remodels and more or less any type of remodel that you need done that involves plumbing. Our expertise, tools, and techniques allow us to handle projects of any size. That way the dreams for your home can become a reality. When you are having your home remodeled, our Minneapolis & St. Paul plumbing service can show you the possibilities for your home. Perhaps you already have something in mind. If you do, then we can make your vision a reality. Perhaps you want a specific style of sink or you want to finally have that claw foot bathtub you have had dreamed of for so long. If you don’t know what you want, then we can show you the different options available to you based on style, your taste, and your budget. We use the latest plumbing techniques and technology to help your home reach its full potential. Basically, we are able to help you achieve the bathroom or kitchen upgrade that you want and need. If you just want a simple fixture replaced, then we can do that for you. Then again, you may want to create a home spa so you can relax at the end of a long day. We can do the plumbing for jetted bathtubs, hot tubs, steam showers, and much more so that you can have the relaxing space that you need. Sometimes your bathroom is the only place you can get away, while your kitchen is the place where things get done. In your kitchen, you can opt for a dishwasher install, new sinks, can have a refrigerator hooked up to a water line if it has the capability to produce ice and water through the door. You could have the kitchen you always wanted even if it is not initially laid out that way. 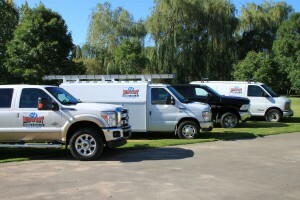 One thing that our Minneapolis & St. Paul plumbers are able to do for you is increase functionality of your plumbing. With new sinks, tubs, and other fixtures, you can have the functionality that you need. You may be amazed at what is available on the market today that looks beautiful and makes life more convenient. There is so much to choose from when remodeling your home. So not only do you get functional plumbing, but you can also achieve a look that is unique to you and your home. When you find it is time to remodel your home, sometimes that involves a little plumbing or a lot. At Midwest Plumbing and Service, we can take care of your plumbing needs if you have decided it is time to remodel your home. We listen to your needs, complete the work according to those needs, and we do it to your satisfaction. To learn more about our residential remodel plumbing services, call us at 612-807-8968 to request a free estimate.